Respect: Is It A Deal Breaker? 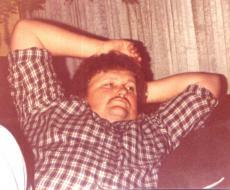 My oldest brother, deceased since 1990, once told me, "It's more important to have someone respect me than to like me." Of course, both would be nice, and I have experienced that. I thought it was interesting how he couched his phraseology into an either-or equation. Actually, he was being more circumspect than that, he was measuring. I know he did get both from certain people. But I understood his point. Think about it. Can you like someone you don't respect? This concept evolves like the chicken and the egg question. Which comes first, respect? Or being liked? Can they co-exist, are they connected? Does it depend on the circumstances? For my brother, he didn't need the ‘like’ part to follow respect. It was gravy, but not a deal breaker. There are many people who make the decision to like someone based on aspects that have nothing to do with respect, and I think that can only happen in a world of superficiality. The concept of respect never even makes it into their decision-making process. That’s not a way in which I could live my life. But this begs yet another question. Can you respect someone, yet dislike them? This is where some people may morph respect with fear. Those are significantly different animals. If you fear someone, or are intimidated, then what you are feeling is not respect. Let me try to break it down, because I am working through this as I write it. I respect Michael Jordan's accomplishments as a basketball player. But as a man off the court? I don’t respect him. And I would not like him. He has cheated on his wife, fathered a child out of wedlock, bullied and mistreated and disrespected many of his teammates and coaches, sullied his historic reputation by coming back out of retirement, an act of outright vanity rivaling Muhammad Ali. With great athletes, it takes a real effort to separate the man from the accomplishments. But when you do, it opens up a whole other window of analysis, and you can then judge them based on (my favorite phrase) the content of their character. Men who have garnered my respect as athletes, AND as men off the playing field? Few and far between. What I'm trying to define is Dignity. Bill Russell. Red Auerbach. Marcus Allen. Arthur Ashe. Jack Nicklaus. Joe DiMaggio. Pele. Wayne Gretzky. Mark Messier. Billie Jean King. Annika Sorenstam. Nancy Lopez. Ronnie Lott. Mia Hamm. These are male and female athletes who have achieved the holy trinity of what I'm trying to explain: Respect, admiration, and dignity. How about out of the sporting world? I will always respect Richard Nixon for his excavation, politically, from the suicide that was Watergate. The dignity and the resilience of Hillary Clinton, who defended her husband, and then was smashed against the rocks of feminism when he confessed to his dalliance with Monica Lewinsky. Ernest Hemingway, who, while battling his own inner demons, stayed true to the course of his writing, his own philosophy, his concept of manhood. Martin Luther King, whose philosophy of peaceful protest should be the singular philosophy of protestation throughout the rest of man's time on earth. Dennis Miller once said, "Why are we so quick to anoint the superficial, but so unable to recognize the truly consequential"? Who, historically, had their accomplishments recognized more? Madonna or Churchill? Ask anyone under 25 what Churchill did. Trust me; you don't want to do that. And we can easily segue into a major area of human psychology: SELF respect. Self respect has been replaced, as a goal, with garnering respect from others, which is always dubious and potentially rooted in manipulation. If you define yourself based on others opinions, you are not defining yourself. They are. I try to set my own parameters of behavior; adhere to them, and the hell with what other people think. The golden rule, "Do unto others...." is a fabulously simplistic and brilliant way to live life. I embrace it whenever I can. When I am disrespected, it is always from someone who is either clueless to the vibe I give off, or has just met me. I treat neither option as an excuse. They get my full response. Ignorance, or oblivion, is NEVER an excuse for poor behavior. Respect is so key in the human dynamic. Very important, yet so often elusive. Some people eschew it; some cannot make the distinction between affection and respect. When we feel respect toward another person, don’t we peel another layer of the onion back, revealing more, and get closer to being human? "I know that I know Nothing..."